Give each of the modules a due date! You can assign a due date to each of the modules to give your students an idea of when they need to complete their assignments by! Once you assign a due date, be sure to choose the action (or in action) the system should take when the due date arrives. 1.) Sign in as a teacher and select the class you would like to assign a due date to. 2.) 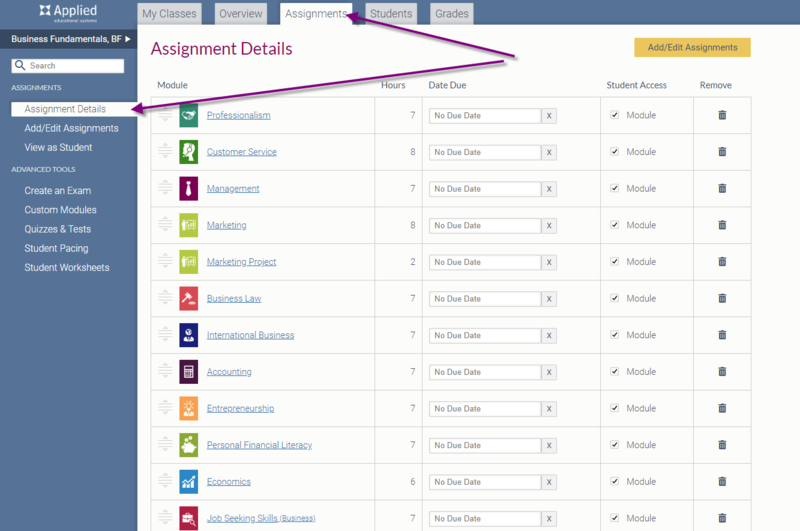 From there, under the Assignments tab, you can select Assignment details. 3.) 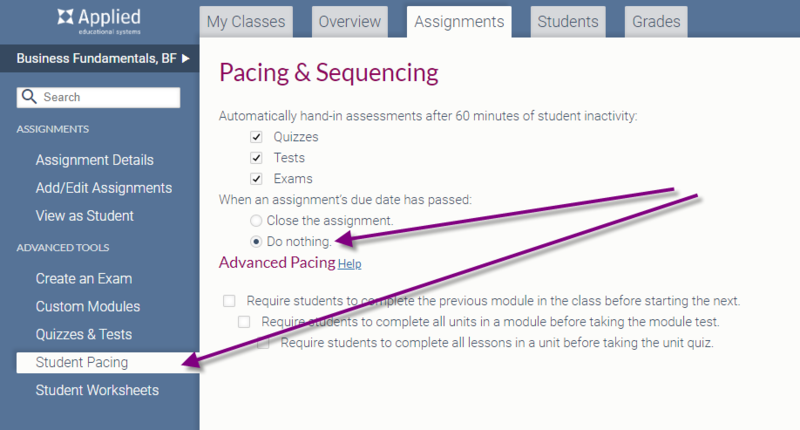 On each module, there is a place to assign a due date. You simply click and and pick the date! 4.) To remove a date, you can select the X and to edit, click the date again! NOTE: If you are editing an already passed due date, you will also need to reopen the module to your students! If you assign a due date to a module, you have two options regarding what happens when that due date occurs. You can either choose that the system does nothing and students can continue to work in the module regardless of the set due date. Or you can have the module automatically close access to students. 1.) Go to My Classes and choose a class. 3.) On the left, click Student Pacing. 4.) If you want students to be able to continue working in a module even after after the module due date occurs, select Do nothing. 5.) 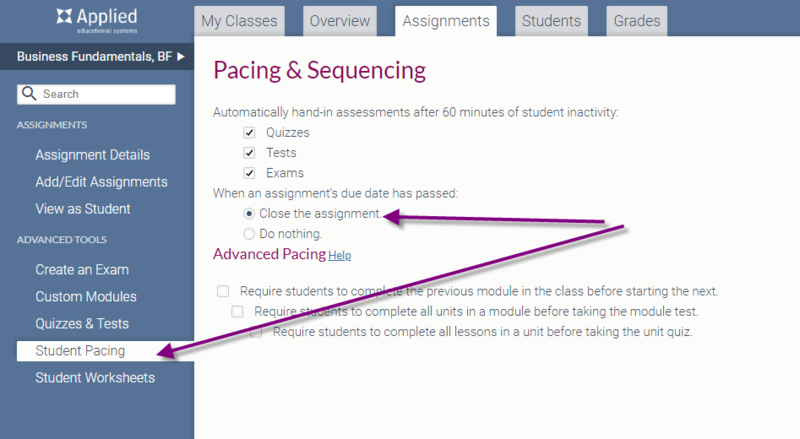 If you want the module to be closed to students when the due date occurs, select Close the assignment.